Today, teachers and performers of Turkish classical music intentionally cultivate melancholies, despite these affects being typically dismissed as remnants of the Ottoman Empire. Melancholic Modalities is the first in-depth historical and ethnographic study of the practices socialized by musicians who enthusiastically teach and perform a present-day genre substantially rooted in the musics of the Ottoman court and elite Mevlevi Sufi lodges. 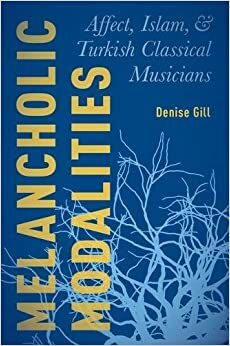 Author Denise Gill analyzes how melancholic music-making emerges as pleasurable, spiritually redeeming, and healing for both the listener and performer. Focusing on the diverse practices of musicians who deploy and circulate melancholy in sound, Gill interrogates the constitutive elements of these musicians' modalities in the context of emergent neoliberalism, secularism, political Islamism, Sufi devotionals, and the politics of psychological health in Turkey today. In an essential contribution to the study of ethnomusicology and psychology, Gill develops rhizomatic analyses to allow for musicians' multiple interpretations to be heard. Melancholic Modalities uncovers how emotion and musical meaning are connected, and how melancholy is articulated in the world of Turkish classical musicians. With her innovative concept of "bi-aurality," Gill's book forges new possibilities for the historical and ethnographic analyses of musics and ideologies of listening for music scholars.